Periflex Infant Powder 6X400 Gm. Item Number. : DB10007634. 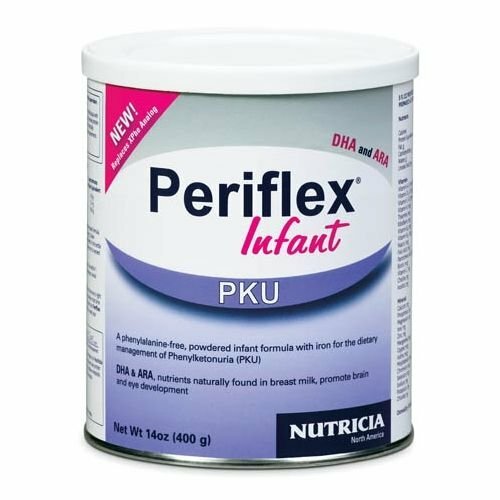 A phenylalanine-free powdered infant formula for the dietary management of phenylketonuria (PKU). Periflex Infant metabolic infant formulas must be consumed in conjunction with a whole protein source (e.g. breast milk or standard infant formula) in quantities prescribed by a dietitian or physician to meet complete protein requirements and ensure normal growth. Formula dosage will vary depending on the age, body weight, medical condition and protein tolerance of the infant. * Wash hands thoroughly and clean preparation area. Sterilize bottle feeding system. * Boil water for 5 minutes and allow to cool for at least 30 minutes so that it feels warm to the wrist. Periflex Infant may be mixed with warm or cool sterile water. * Add the prescribed amount of Periflex Infant powder and a protein source to the sterilized feeding bottle. For accuracy, Periflex Infant should be weighed on a gram scale. If using the provided scoop, fill it and level off with a clean, dry knife. Do not press the powder into the scoop. * Pour the required amount of cooled, boiled water into feeding bottle. To make the recommended dilution (21 kcal/oz), Periflex Infant requires 1 fl oz (30 mL) of water for every 5 g (1 unpacked, level scoop) of powder. Place cap on bottle and shake until powder has dissolved. * Make sure the formula is lukewarm by placing a few drops on your wrist. Formula prepared in advance must be cooled rapidly, stored in the refrigerator (35�F to 40�F) and used within 24 hours of preparation. Shake immediately before use. Formula remaining in the bottle after one hour of feeding should be discarded. Tube feeding "hang time" should not exceed 4 hours. Precaution: Must only be consumed by infants with proven phenylketonuria while under strict medical supervision. Not suitable as a sole source of nutrition. Not for parenteral use. 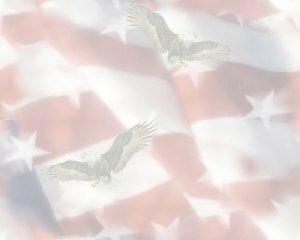 Corn Syrup Solids , Refined Vegetable Oil (Soy, Coconut), High Oleic Sunflower Oil, Calcium Phosphate Dibasic , L-Arginine L-Aspartate, Tripotassium citrate, L-Leucine , L-Lysine Acetate, L-Tyrosine, L-Glutamine , L-Proline , L-Valine , Glycine , L-Isoleucine , CAEM(An emulsifier), L-Threonine , L-Serine , L-Histidine , L-Alanine , Sodium Chloride, L-Cystine, L-Tryptophan, L-Methionine , Magnesium Acetate, Magnesium L-Aspartate, Potassium Chloride , M.Alpina Oil*, Choline Bitartrate, m-Inositol , C.Cohnii Oil **, L-Ascorbic Acid , Ferrous Sulfate, Zinc Sulfate , Taurine, Carnitine , Niacinamide, Sunflower Oil, DL Alpha Tocopherol Acetate, Calcium D-Pantothenate, Cupric Sulfate , Manganese Sulfate , Pyridoxine Hydrochloride , Riboflavin , Vitamin A Acetate, Thiamin Chloride Hydrochloride, Ascorbyl Palmitate , Potassium Iodide , Chromium Sulfate , DL Alpha Tocopherol , Phylloquinone, Sodium Molybdate, Folic Acid , Sodium Hydrogen Selenite, D-Biotin, Vitamin D3 , Cyanocobalamin.